Ola Lola’s Garden Bar is a really chill and relaxing place to stop off at. There are usually a few people there just grabbing a drink and a bit of shade. I personally have a killer sweet tooth so I went straight for the dessert. They offer a unique twist on the banana split. Instead of using ice cream they take a banana and grill it with all the normal banana split toppings, but with marshmallows replacing the ice cream. 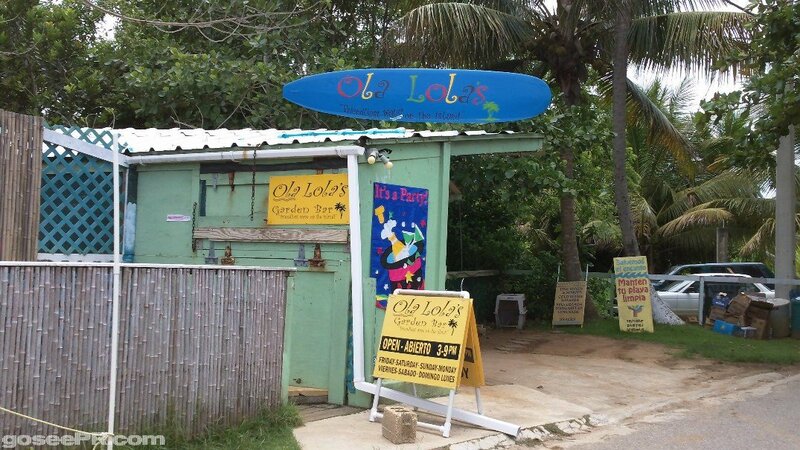 Ola Lola’s is really close to Shacks and Tropical Trail Rides. After a day at either of those locations we surely enjoy a minute to relax in the shade. *Unfortunate Notice – Papa Ui’s has closed and the business location is for sale. Papa Ui’s is a superb bakery in the town of Isabela, Puerto Rico. We have ate there on quite a few occasions and it has been great every time. They have a good selection of sweets and sandwiches! Like most bakeries they do offer breakfast sandwiches as well. One thing that makes Papa Ui’s stand out is a hot bar of lunch and dinner style foods. If you are in Isabela we highly recommend you stop by this bakery. 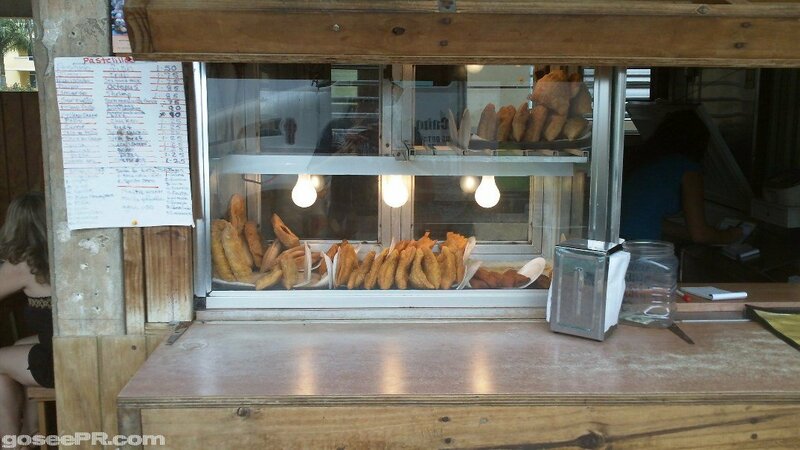 This particular Pastelillos Empanadillas Stand is the most popular one we have seen. They sell hundreds or maybe thousands a day, which is great for you, because your odds of getting a fresh one are much better than at other stands. 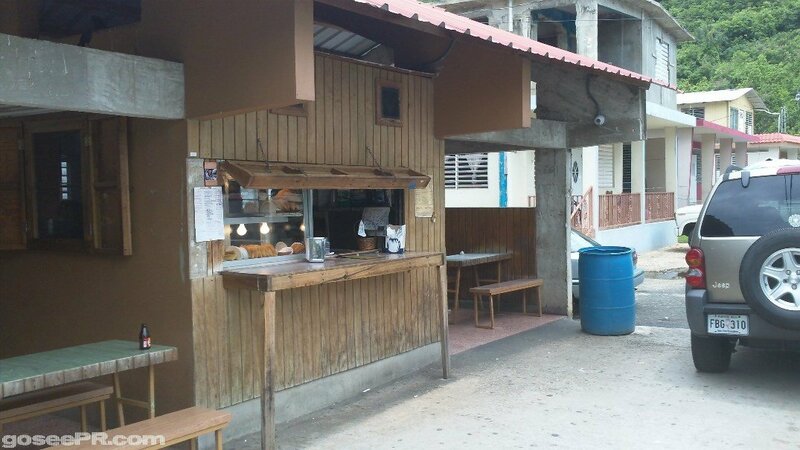 If you select the middle image, you will be able to see the menu, which shows you their large selection of pastelillos. They also have Surullitos which are my favorite. 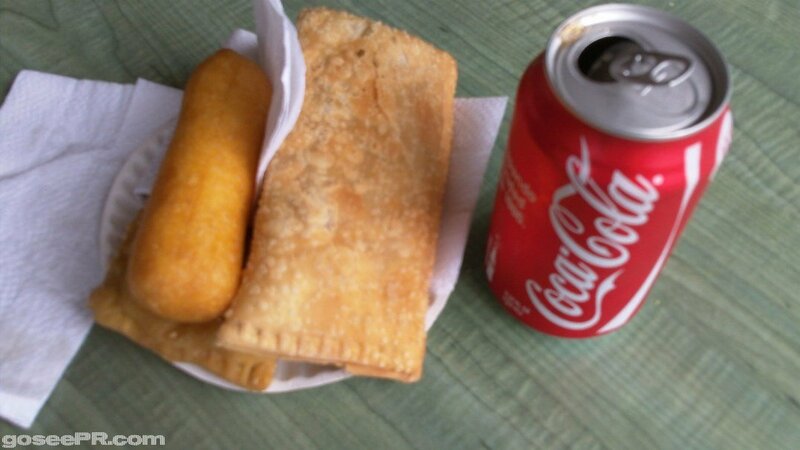 Surullitos are a fried corn meal stick (also pictured), that is filled with cheese. Now the bad news, if you are trying to eat healthy then don’t bother stopping. Also, be careful parking there and crossing the street. It is a busy place, a busy road, and there is a blind turn right next to it. Pacos Tacos / Paco’s Churrasqueria Mejicana Mexican Restaurant is GREAT! 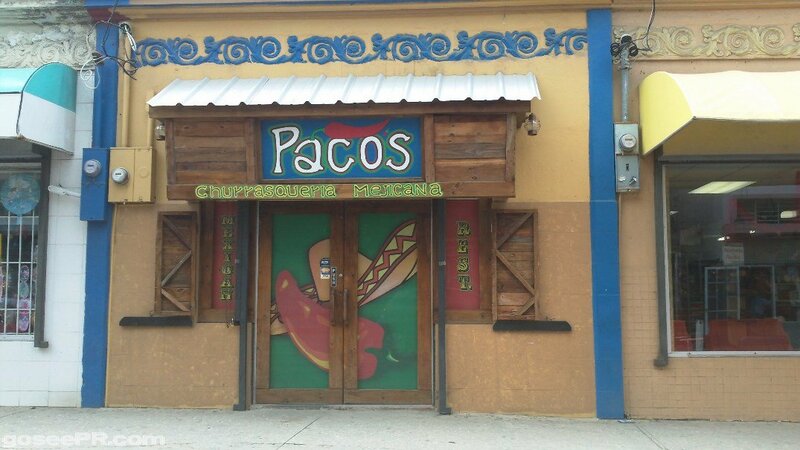 Finding Mexican food in Puerto Rico can be hard, so when we found Paco’s Tacos it was a ground breaking find. The food was great, and the staff was friendly. Every single item we had, and saw on other tables, looked tremendous. As for me, one burrito was enough to leave me feeling extremely full, but I wanted another simply because it had taken months to find a Mexican Restaurant of this quality. On a final note that some people may care less about, there are very few places that televise NFL and NBA games, but Paco’s had the NBA playoffs on a nice big screen. That was a plus in my book. A+.